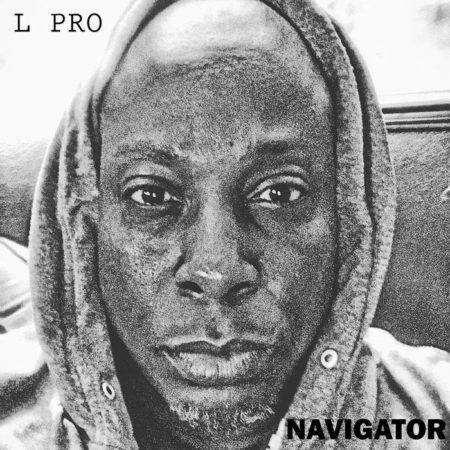 L PRO brings you the single “Ledge” off his recently released “Navigator”. The album is a collaboration of the Oregon based Hip Hop veteran with long time producer 5th Sequence. PRO and 5th have worked together for many projects including Equilibrium and Vertigo, and this work is another classic effort by this dynamic pair. From thought provoking joints like Round and Round, to the classic joint “Ledge” L PRO and 5th Sequence continue to set the standard for solid collaboration. With guest production on “The Show” by Bogart Beats and cuts by DJ Flip Flop, “Navigator” continues the trend that L PRO and 5th Sequence have kept for so many years.